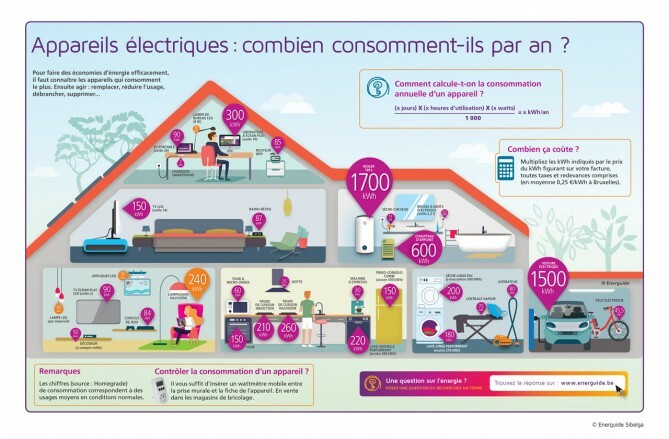 The annual consumption of an average family in Brussels – who cooks with gas and therefore does not heat water using electricity – is estimated at 2,812 kWh. But do you know how much power all of these appliances consume and what's more, how much this eventually cost per year? The energy used by household appliances is calculated on the basis of their capacity (expressed in watts) and the length or frequency of use.